Many Northeastern students and alumni do, and on Wednesday night many of these ideas were showcased throughout the ground floor of the Curry Student Center at the second Northeastern Entrepreneurship Expo (NEXPO). 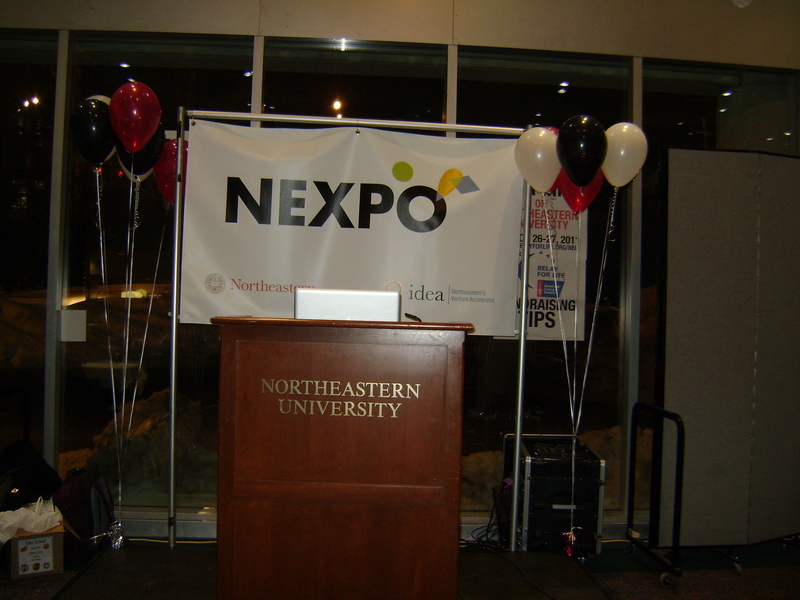 Held by the Inter-Disciplinary Entrepreneurship Accelerator group at Northeastern (IDEA), NEXPO is a celebration of the entrepreneurial groups, students and organizations in the Northeastern and Boston communities. Student ventures working with IDEA had the opportunity to feature and show their businesses on the expo floor, and the event was a unique opportunity for entrepreneurs to meet and network with one another. Though I will covering this event to a much further degree in a short video news segment later on in the semester, I wanted to share two entrepreneurial ventures I thought were particularly interesting for the typical college student. Topplayedgames.com is the idea of Sean A. Castro, who is a founding partner of Rummagers Group, a new web and mobile umbrealla company. The website is an online gaming portal, consisting of classic arcade and developed flash games. Castro said the idea for this particular website came about from always playing games online while in classes, so why not make a business out of it? Castro also showcased DrinkTV, which is a website in the works that will eventually feature drinking game guidelines for a variety of TV shows. “Like for Jersey Shore, you would have to drink every time you see an Ed Hardy t-shirt,” Castro said. Another website I thought was particularly interesting, and have been following for quite some time, is Brewspy.com. Created by Northeastern student Tyler Smith, the website allows individuals to view daily deals at various bars and restaurants around the Boston area. Smith also showed me a website he is working on that will allow individuals (mainly college students) to tell their friends where they plan to go that particular night. Though the website seems much like FourSquare, Smith made sure to draw a line of distinction between the two, citing that FourSquare allows you to check-in somewhere when you’re there, while his new website will allow people to check-in before they go, allowing the site to connect friends with each other’s plans for the evening. Smith said he hopes the website, which has yet to be named, will be live within the next two months. Many other entrepreneurial ventures at NEXPO were phenomenal, and I’m very excited to share them with you via my video segment, however, these two ideas are geared mainly to the college student and immediately struck my interest. Perhaps the college student market has many more opportunities for entrepreneurial ventures to be explored!